You must be the only person I’ve ever heard rhyme something with the word Texas! Awesome cartoon, Rob. Love it! Thanks. Texas is tricky, but not as tricky as “Ohio”! 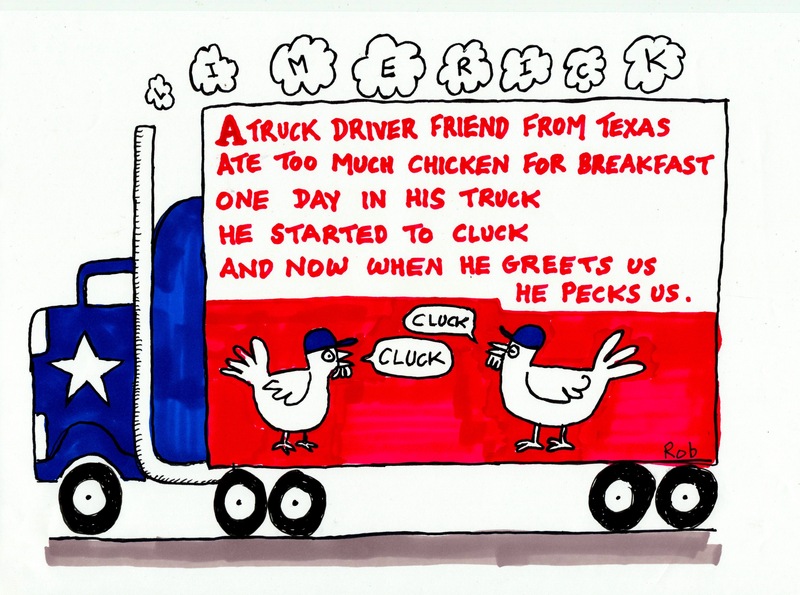 Ah, so next time then challenge yourself….we want a Limerick with a word rhyming with Ohio! LOL. As any experienced gourmand will tell you, there is a fine line between just enough and one mouthful too much. I think you need to pull back before being offered the wafer-thin mint.